In 1938 Sir Nicholas Winton saved the lives of 669 Jewish children. He kept the story to himself for 50 years. Last June 27th, both of us had the unique privilege of meeting in the flesh a 104-year old hero. This took place in London, at the residence of Ms. Nicola Clase, Ambassador of Sweden in the UK. Representing the International Raoul Wallenberg Foundation, we specially flew to the British capital to pay tribute to former Prime Minister Gordon Brown, for his unwavering support to the cause of the rescuers in general and of Raoul Wallenberg in particular. In his acclaimed book: “Courage – Eight Portraits”, Mr Brown dedicated a full chapter to one of his heroes, the young Swedish diplomat credited with having saved the lives of scores of Hungarian Jews. Regrettably, as it is well known, Raoul Wallenberg never returned from his life-saving mission, as on January 17, 1945, he was abducted, for some unknown reason but most likely following Stalin’s directives, by the Soviet forces that liberated Budapest. His fate and whereabouts are still shrouded in mystery. Amongst the distinguished guests was a singular hero, who happened to be born three years before Raoul Wallenberg, painfully stressing the theoretical possibility that the latter, under normal circumstances, could still be alive. 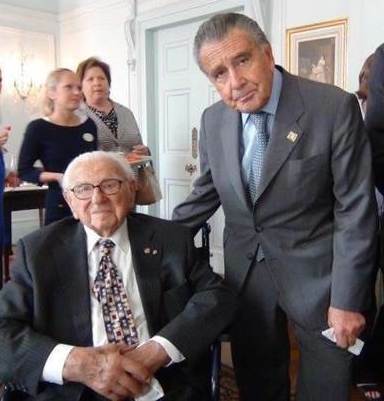 The living hero was Sir Nicholas Winton, at that time aged 104. He entered the residence sitting in his wheelchair, but otherwise, looking happy and alert, with a distinctive spark in his eyes. Sir Nicholas was born in London, on May 19th, 1909. He was the son of German Jewish parents who had moved to Great Brittan two years earlier. Their original surname was Wertheim but they changed it to Winton to make it sound British. Later on, they converted to Christianity and baptized their son. The young Winton started gaining experience in banking, spending some time in Germany and France. Back in London, he began to work as a stock broker at the London Stock Exchange. In the eve of Christmas 1938, Winton was about to embark in a holiday trip to Switzerland but a call from his friend, Martin Blake, made him change his plans. Blake had been working for an refugee aide committee in Czechoslovakia and was asking for help. As a result of this plea, Winton traveled to Prague on his own and after a few days there he understood the urgent need of saving the lives of children from the Nazis. He started to contact various relief organizations in the UK, with the intention of sending as many Czechoslovakian children as possible to the UK. On November 21, 1938, shortly after the so-called “Kristallnacht” (we don’t like the euphemism; it was a murderous pogrom after all), the House of Commons took a measure that would allow the influx of young refugees as long as they had a place to stay in the UK and some money as collateral. By then, the Nazis had occupied the Sudetenland and Winton realized what would be the fate of the Jewish children once the Nazis advanced over the rest of the country. Following a frenetic 9-month period, Nicholas Winton managed to evacuate 669 children from the Wilson station in Prague on trains to London. Winton was responsible for organizing these life-saving convoys as well as identifying British families who were willing to take-up the children. For more than 50 years, Winton kept his story for himself and only by chance, after his wife Greta discovered in the attic of their house a briefcase that contained the list of saved children and letter to their parents, he acquiesced to make it public. 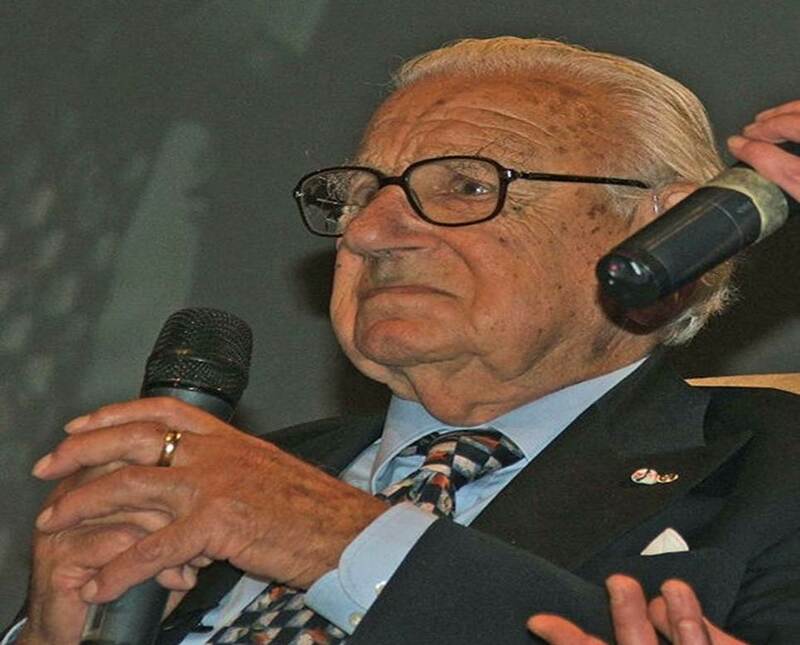 For his courageous act, Nicholas Winton was knighted by the Queen in 1983. Going back to our reception at the Swedish Embassy in London, almost a year ago; we sat with him at the beautiful library of the residence and had a lively chat with a 104-old man who saved the lives of 669 children some 75 years earlier. He was witty, talkative and above all, he told us how worried he was about the lack of compassion nowadays. When we asked him to relate his own story of heroism, he felt awkward and tried to downplay his role, as if it were something natural. At the end of our meeting, we conveyed to him the “Raoul Wallenberg Centennial Medal”, a modest token of recognition to his feats. He was deeply moved and so were we and the people at the room. 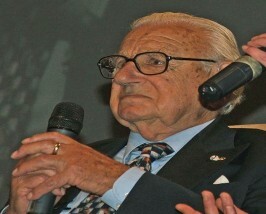 Today Sir Nicholas Winton is 105: An amazing age for a man who lived an amazing life and made such a great difference. Nowadays, “his 669 children” have turned into more than 5,000! A few weeks ago, CBS TV program, “60 Minutes”, dedicated to him a whole segment called “saving the children”. It was comforting to see how this great savior gets to the houses of millions of viewers. One week later, “60 Minutes” presented a few letters from the audience, and some of them mentioned the fact that he should be declared “Saint”. He might be 105-year old, but in his mind, he still has the courage and the energies of his younger self. He still dreams and he still worries about the state of things in a world where things are, as per his own definition: “topsy-turvy”. Eduardo Eurnekian is the chairman of The International Raoul Wallenberg Foundation. Baruch Tenembaum is the foundation’s founder.